I sometimes think I became a therapist not only to make a difference and help people, but because I was starved for conversation growing up. In the world of my childhood, a tight-knit, working-class neighborhood in New York's Washington Heights in the 1950s and '60s, none of us kids, and absolutely no one in our families, seemed to genuinely talk to each other, even for a minute. Neighborhood gossip, ritualized chitchat, spirited debates about the relative athletic merits of Willie Mays and Mickey Mantle, expressions of everyday affection, occasional outbursts of emotion—sure, those happened all the time. But back-and-forth discussion with questions and responses and then more questions that went in directions you couldn't predict—not even on the radar! When I decided to become a psychologist, I figured conversation would be an essential part of my professional life. What was "talk therapy," after all, except a specialized form of revealing conversation? But as far as my psychotherapy training in grad school went, I was dead wrong. Of course, in the hallways and between classes we "processed" anything that moved—nothing about what we saw, heard, felt, thought, or imagined seemed too trivial to discuss for hours. But once a therapy session began, that all changed. Free-flowing, spontaneous conversation was verboten. It wasn't okay to communicate in anything other than the strictly proscribed, impoverished language of therapy-speak. Of course, all good therapists do just talk with clients to some degree—it's really the lifeblood of therapy. But as a field, we've been unconscious of the nature of the conversation that energizes our models and techniques. 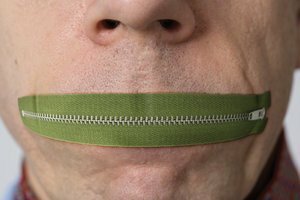 It's as if the craft of conversation were a secret weapon many of us have, but aren't allowed to acknowledge, much less consciously work at improving. Yet, without it, treatment can be a textbook exercise lacking the power to make clients feel a truly alive and personal connection with their therapist. After all, we converse to get beyond categories and stereotypes to discover a person's unspoken self beneath the social mask. For a trained therapist comfortable in his/her professional skin, there is indeed a craft to making good conversation, which does have a purpose beyond simply passing time. It must generate an atmosphere conducive to doing the clinical work at hand—which means there's an overarching, if not exactly specific, direction to it. The Zenlike paradox of therapeutic conversation is this: an exchange with no purpose other than the interaction itself can guide us exactly to where we need to go in treatment—to the unspoken self of the person sitting across from us. But how do we get started? I think we make use of what I call "crafted spontaneity," which means that if we follow whatever infinitesimal signals of life the patient emits and the life happening inside ourselves, we might have an unexpected encounter outside the framework of a specific therapy model. If we accept uncertainty and create conversations that lead to the client's experiencing his or her unspoken self in the therapy relationship, this can change a client's behavior, self-concept, and life story. Want a fun, fast, and creative way to build trust with walled-off clients? Here's a FREE printable worksheet with a few warm-ups to help you get started. So, how do we do this? Over the years as both a therapist and supervisor, I've nurtured the unpredictable with hundreds of clients and listened to sessions as recounted by hundreds of other therapists. As a result, I've begun to see guidelines for the sometimes paradoxical craft of spontaneous therapeutic conversation. Follow the Spark. One true sign that you and your client are having a genuinely therapeutic conversation is that you have absolutely no idea where it's going. Most of us shy away from life's unpredictability, and we certainly do so in therapy. It's easy, then, to think: "What am I doing? Does this really have anything to do with treatment?" So, the most crucial skill to learn, the awareness that guides everything else, is recognizing that if the conversation generates a spark of interest in the client and you're learning something new—if you both feel more alive in the room—almost without question, you're onto something. Develop a Theme. In an Internet era when people's selves are so fragmented, therapy is a kind of glue for personal coherence. Developing a theme through a series of discussions helps bind the self together. The process begins when the therapist notices a flicker of interest and is open to learning more about it. Because the theme matters to the patient, it surfaces again and again, coalescing into an unspoken aspect of the self he or she can gradually own. Search for Competence. As a theme develops with our clients, their unspoken self of hidden competencies often begins to surface. One of the best paths to competence for clients who've never before been able to experience themselves as successful human beings is to discuss with a truly interested therapist what most engages them in life and brings out their natural urge to get better at something. Not surprisingly, though, those conversations don't always take the form of what we usually think of as therapy-speak. More often than not, a sense of competence and coherence comes out of conversations that aren't a linear attempt to buttress a client's self-esteem. You can't predict where the unscripted will take you. I guess this is as it should be. In this fascinating, albeit sometimes grueling, profession, it isn't just about "us" therapists doing something formulaic for or to "them," our patients. It's about the vast possibilities for change in both our clients and ourselves that the small, everyday miracle of conversation can ignite if—with awareness, patience, and a focus on the craft involved in this—we allow it to flow and work its meandering magic. Ron Taffel, PhD, is the chairman of the board of directors of the Institute for Contemporary Psychotherapy in New York. He’s the author of eight professional and popular books and over 100 articles on therapy and family life. This blog is excerpted from "How Conversation Sparks Therapeutic Change" by Ron Taffel. 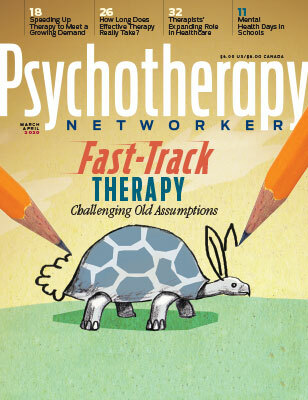 The full version is available in the September/October 2012 issue, The Craft of Conversation: Kindling the Spark of Therapeutic Change. Here's a proposed underlying theory, in brief. Almost all problems presented for therapy are the result of interpersonal interactions. All such experiences are psychologically unique, and therefore no theory about their nature applies. There exists a natural healing process for these psychological "injuries" just as there is one for physical injuries/illnesses. Both processes operate under the same conditions: Safety from further injuries/illness and sufficient support. In medicine, support is physiological in nature; in psychotherapy its provided by the therapist's expressed interest in the client's experiencing. Such support activates emotional experiencing, from animated talking to deep crying. When emotional experiencing arises coincident with such support, it is not retraumatizing. I call this the unforced activation of emotional experiencing. It's a manifestation of the natural healing process for psychological injuries. The opposite is forced activation. It's typically seen when a client arrives in an upset state because an interaction activated too much unresolved stuff. That's not healing. All the therapist can do is listen attentively until it dies down. The key: Whatever the client spontaneously talks about is a manifestation of a psychological "injury," however unimportant and/or trivial it may initially seem. This article from Ron is very lovely for me to read. I often lately, as an old therapist in a world where the profession is invited to impoverish itself to adhere to Australian Medicare funding guidelines and such like, feel jaded. I'm taking a year off next year to rejuvenate from my disheartened-ness actually. Ron's article feels to me to express a flow of what is really there in the therapeutic time with our patients - a relationship within which so much can be possible, and the precise nature of "possible" is not able to be pinned down. It never could be. Ron Taffel, thank you for this article, best wishes from Treya (in Australia). This was such a good article, and reminded me to keep it simple and follow where the patient leads.